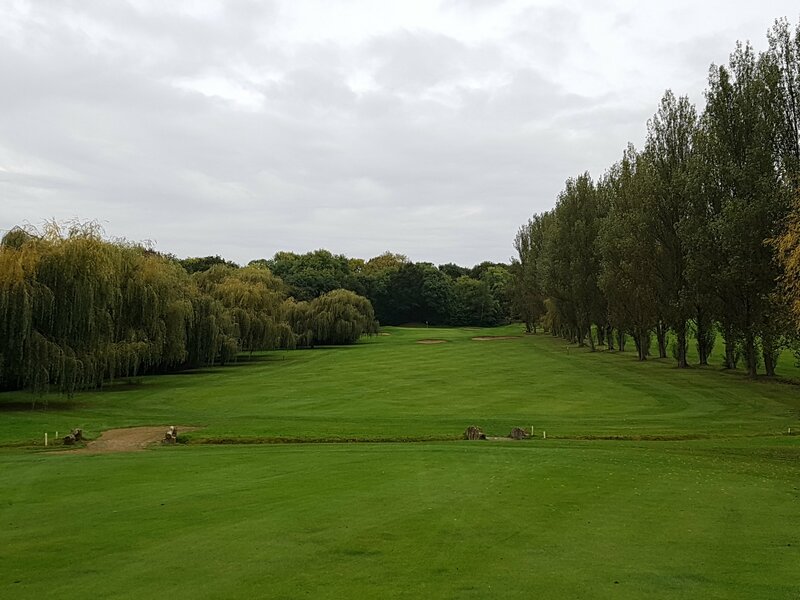 Here’s a video of the leaf blow on the 5th this afternoon at 4pm, this is the second clearance this week. 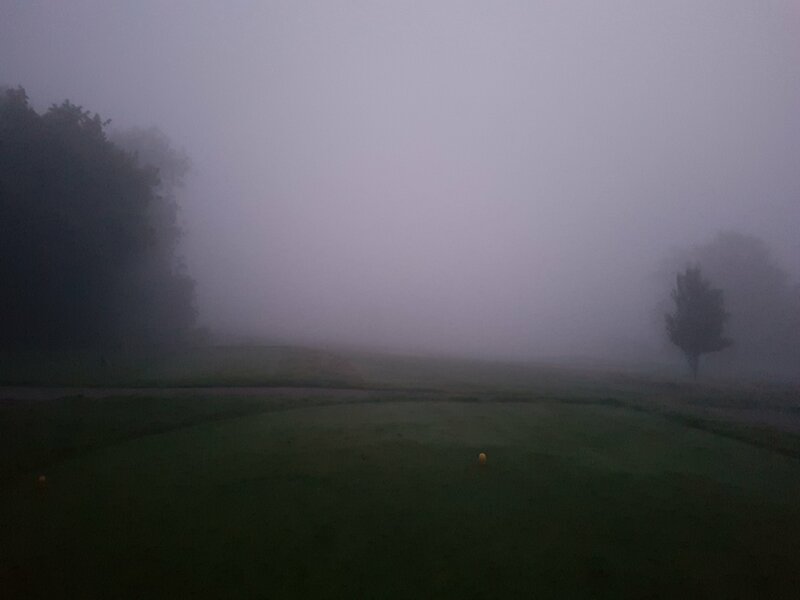 The first autumn fog delay this morning, estimated time of clearing around 8am’ish. course open as usual buggies are allowed. 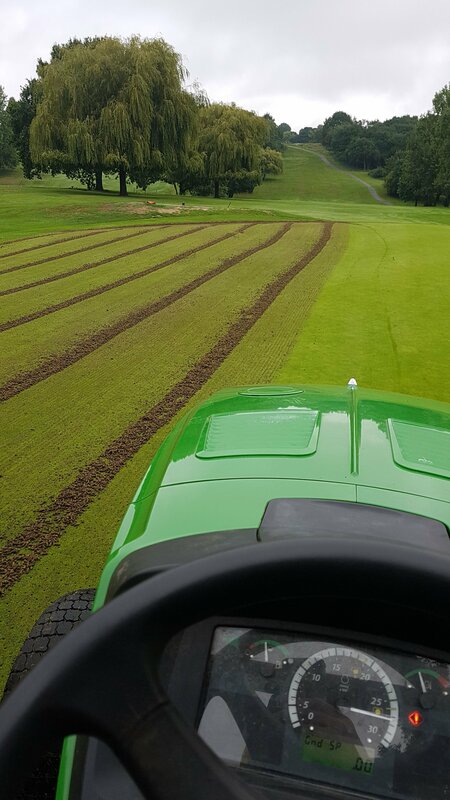 Unfortunately this renovation week has been a testing time with the weather conditions when traditionally this week has always be dry. 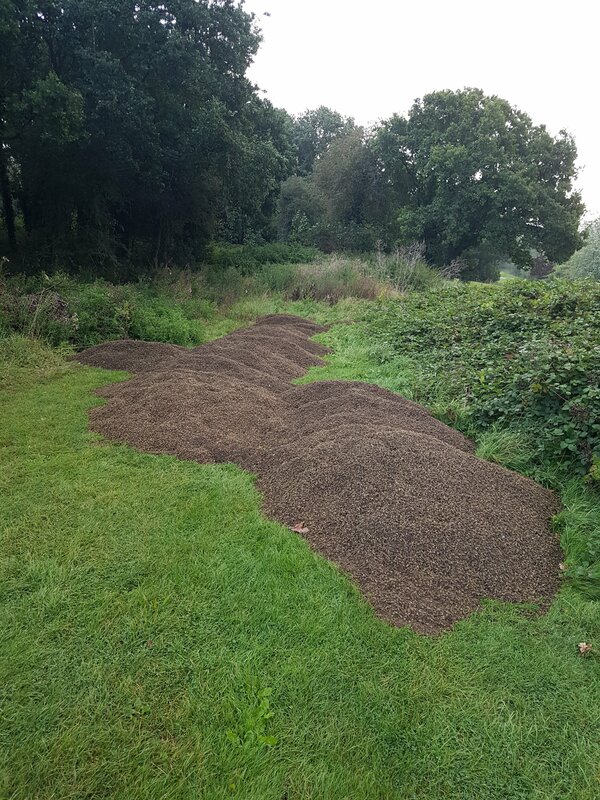 With deliveries a day late and a lorry catching a phone line around the clubhouse we finally completed the work and managed to cut all playing surfaces. 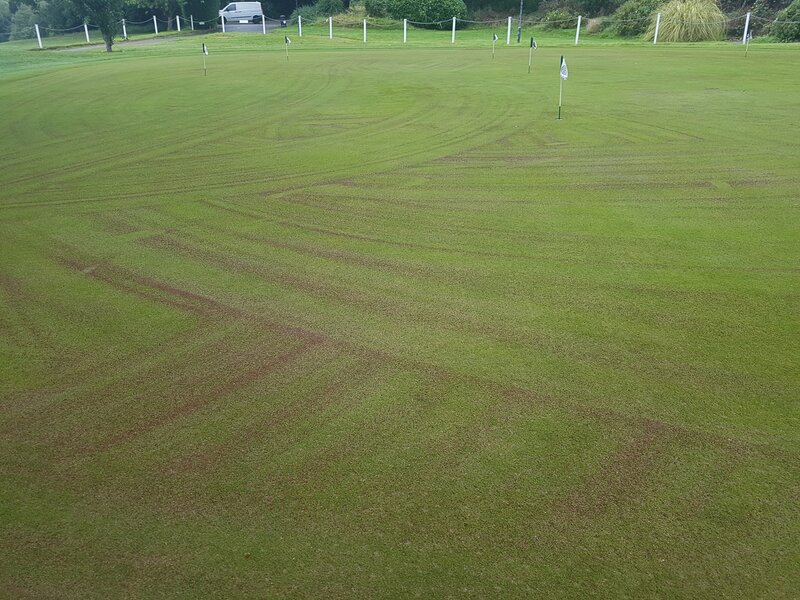 Special thank you to all the greenkeepers and temporary staff who helped out this week. This is what we have taken out of the greens. All greens have been hollow tined by yesterday morning. Topdressing/zeolites and overseeding commence this morning and through the day followed by brushing in. Source: Renovation week, 21st September 2015.